are channeled metal objects placed on the down-slope edge of structures, giving water a way to escape from a roof via leader heads and/or downspouts. Gutter installation is a key part of any home improvement project and need to be carefully chosen and properly installed to perform well. When clogged, they will hold rainwater which has a tendency to overflow. 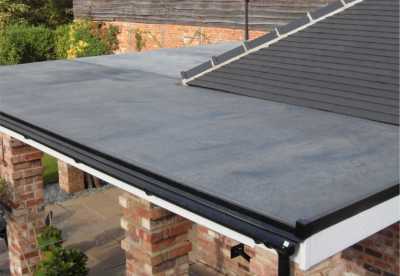 If overflowing gutter water reaches the sides of your home it seep into siding or even through your home’s foundation. 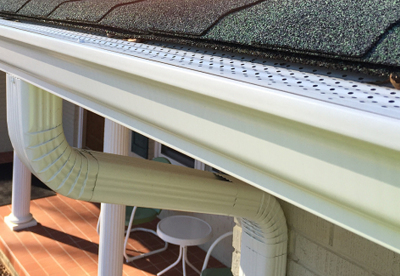 New gutters might seem like an unnecessary investment at first glance, but functioning gutters are very important. Gutters are designed to move water away from the foundation of your home. They are mounted along a structure’s roof line and eaves to collect rainfall. 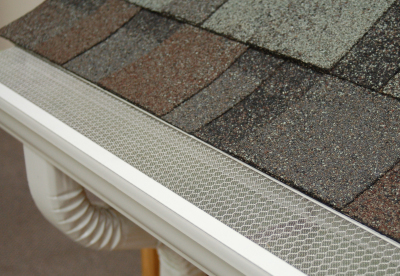 Typically, gutter installation involves attaching them at a minor slope, which encourages the water to run toward downspouts, which are generally installed on the corners of the house. Overflowing gutters are the major contributor to cracked foundations and basement water issues. Rainwater falling directly from the roof may erode the soil surrounding your home and result in water pooling near your foundation, causing damage that may render your basement more susceptible to leaking. The number one cause of water damage in basements is clogged gutters. If rainwater is not channeled away, it will follow the path of least resistance. This path will likely lead into your soffits, behind your siding and down into your basement. Another reason to install a gutter system would be to keep water from running onto high traffic areas, like steps or walkways. This is especially important in spring and autumn, when freezing temperatures could form dangerous ice patches that may cause people to slip and fall. Plus, these freeze/thaw cycles cause concrete to crack, shift and wear unevenly. If your home has trees around it that lose their leaves, you may want to consider installing some sort of cover on your gutter system. This can either be a screen or helmet system that is installed over the top of your gutter, which helps prevent leaves or needles from collecting in them; this collected debris may cause your gutters to clog. These guards can be retrofitted to your existing gutter system and can save you the inconvenience of cleaning your gutters every fall. We suggest cleaning gutters at least annually, but more often if necessary, such as after heavy rains or large storms that may fill them with gunk. Wear long sleeves when cleaning gutters to protect your arms and rubber gloves to guard your hands. Use a solid extension ladder, preferably one with stabilizers that will safeguard the gutters. Be careful not to overreach when clearing gutters from a ladder as this may cause you to fall. A small scoop, such as a toy sand shovel, will make it easier to remove the debris in your gutters. You may also purchase a scoop made specially for gutter cleaning. Throw gunk and debris onto a tarp or into a wheel barrow to make cleanup a breeze. Once you have removed the buildup from your gutters, give them a thorough flush with a garden hose, and watch for any leaks as the water flows to the downspouts.